Due to the overwhelming demand for access to the Volunteer Pilot assessment from principals, teachers, parents, and the public in Missouri and across the Smarter Balanced Assessment Consortium, the Smarter Balanced Assessment Consortium has decided to release a more complete and more broadly available “practice test” in lieu of the Volunteer Pilot assessment. ...the Practice Test will be available beginning Wednesday, May 29. We understand that for many schools, this later start date may be too close to—or, in some cases, after—the end of the school year to allow an early opportunity to engage with this new release. However, we hope the benefits outlined in this memo, including the fact that the Practice Test will remain open throughout the summer and across the next school year, will mitigate the delay. ....according to the WA OPSI website there was an “overwhelming demand for access to the Volunteer Pilot assessment.” (1) Unfortunately it does not say who was demanding this, be it parents or schools, but Smarter Balance decided to create a 2nd testing option, the SBAC Practice Test. This Practice Test will be accessible online and available to every student within participating states. According to the SBAC website this practice test does not require registration, no username or password, and encourages it to be used not only for professional development activities, but also as a source for parents and policymakers to see what Smarter Balance Testing is all about. (3) Again this is not a graded or recorded test, but a resource to sell the concept to parents, educators, and anyone else that needs to be “sold” on the concept. The SBAC Practice Test will open beginning 5/29/13, not long after public schools finish their MSP testing. SBAC boasts that one of the “perks” to the Practice Test is that it will be available until the rollout of the operational assessment, so students will be able to take the tests over the summer. I'm certain students are clamoring to take a practice test that counts for nothing over their summer vacation, aren't you? Can we opt out of the Pilot Test? Yes, contact your child’s school to verify that your child is on the list to take the Pilot Test. If you wish for your child to not take the test then let the school know. Just to be safe, instruct your child on what to do if they are taken to test; Some options if this happens are: Send a note with your child explaining they are opting not to participate and why, instruct your child to not begin the test-they can sit there and request you or a specified contact be called, if the school still insist on your child's participation then prepare to have your child picked up and contact your states Department of Education and get media attention because this is not a mandatory test as of yet! Is this information specific to one state? Although there are some state specific links the majority of the Smarter Balanced information came straight from the SBAC website. 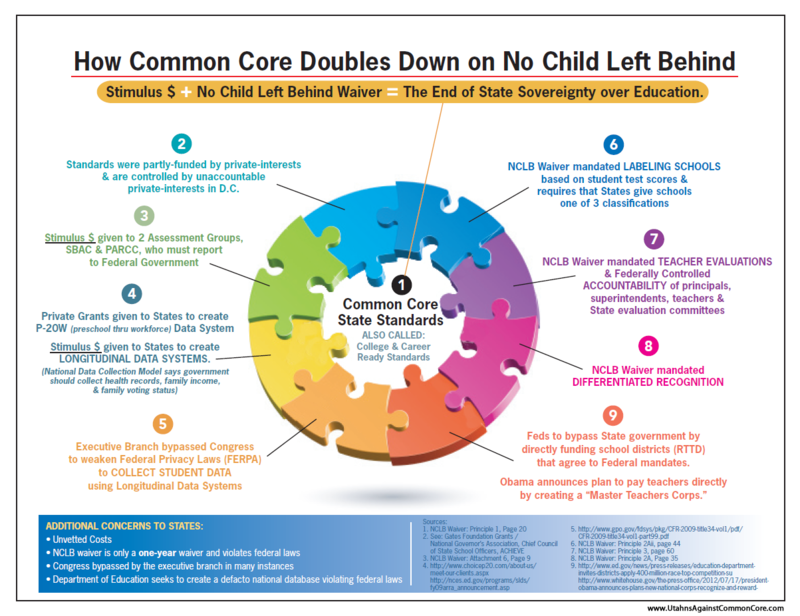 For a complete list of participating schools within your state please go to your states Department of Education website and look for the common core testing links. This is good advice for Missouri parents wanting to opt their children out of these tests. Or, if students believe the press release from DESE and no individual data will be captured, they could just answer "I don't know" on all the questions. That should skew the data to make these test results meaningless. At least a teacher's evaluation won't be held hostage (50% of his/her rating as being effective or not) to a student's answer. This volunteer pilot testing may backfire on SBAC. If students/parents have a negative experience with the test, DESE may just see more opt out requests when they are actually administered in schools. I am so sick of all of the experiments done on our children. The pilots should be illegal without parental knowledge and consent. These are years used "experimenting" on our kids that we cannot get back. It needs to stop. I assure you that parents are not clamoring for more piloting. That is insulting for DESE to even suggest. It shows a blatant disregard for children and their hopes for a bright future. What if the pilot does not work, and is a huge failure? What then? Yes, the parents and child get left to pick up the pieces and DESE moves on to do it again to another generation of unsuspecting parents and children. Shame on them for even suggesting that we, the parents, asked for this. They should be forced to prove who the parents are who are asking for such a thing. Disgraceful!!! Common Core Passion Now Spills into the Bedroom? Why Common Core Will Fail: Hippos and Tomatoes.